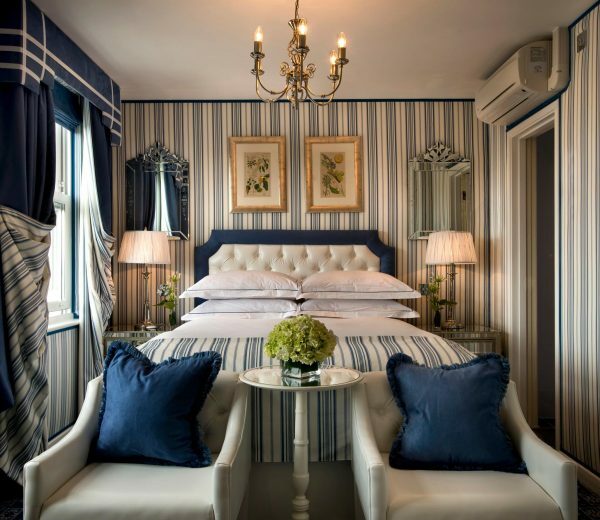 The indulgent accommodation at the Duke of Richmond Hotel transports you back in time, and is full of traditional frills. However, the fresh air, and rousing walks are a perfect remedy to shake away the cobwebs of city living. 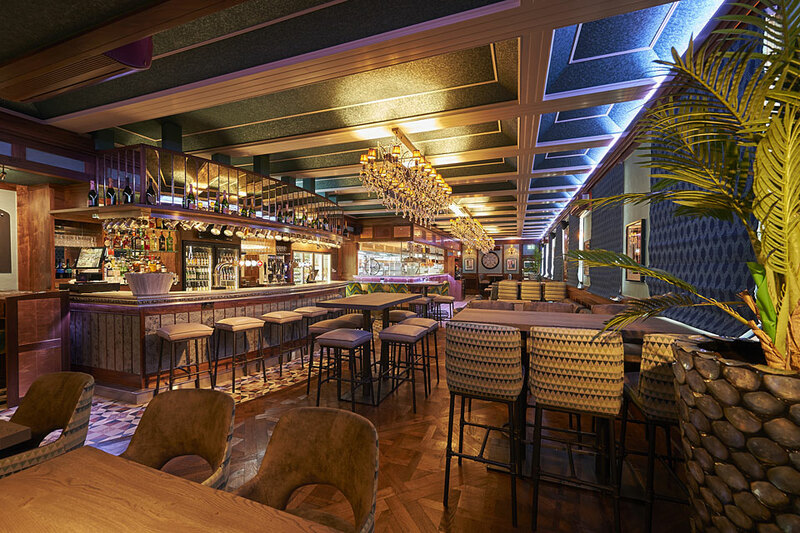 But fear not, it still has the perks of being a cosmopolitan island, and the refurbished JB Parkers wine bar and cellar is the perfect place to get acquainted with local life whilst enjoying a pre-dinner wine tasting session. Banish your hazy morning head out for a brisk walk. Being an island, the scenery is incredible. Whether you are a hiker, biker, twitcher or fisherman, Guernsey is packed with outdoor activities which can be enjoyed at any time of year. 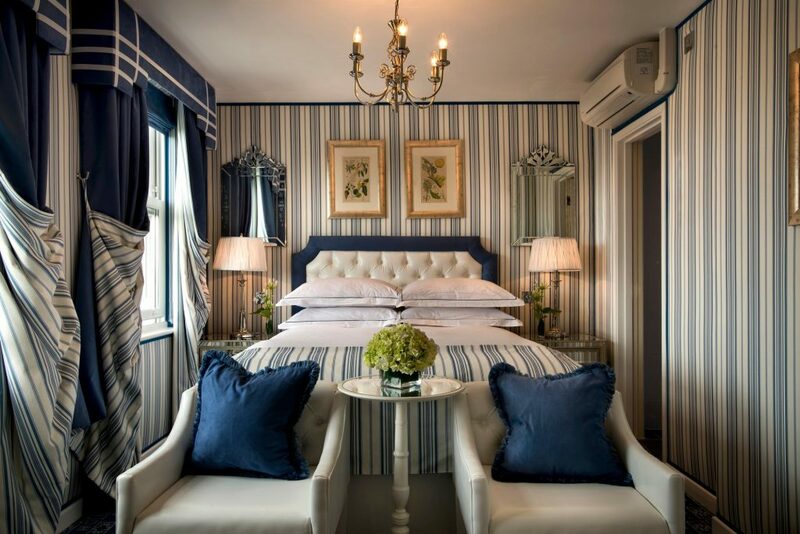 If you’re here for a weekend break, it would be a shame to stay in your hotel, however luxurious it is. Venture out and enjoy a lunchtime crab sandwich at one of the beachside cafes, and take a hearty stroll- after all you will need to work up an appetite to be ready for your next meal! If you go in summer, you might be tempted by some water sports. All the beaches are incredible; White sands, clear water and clean bays are paradise for serious swimmers, kids and the more adventurous. Paddle boards and kayaks can be hired, and if the urge takes you and you can also learn to surf in Vazon Bay. A car is useful to get to the less crowded beaches, and families love Pembroke Bay. The long stretch of inviting white sand leaves plenty of room for children to build sandcastles, whereas Petit Bot bay is the ideal destination for couples. Smaller and more secluded, it has limited parking, but that adds to the exclusivity. Take a towel or something more waterproof as even though the tide goes out far, it comes in quickly, and vice versa, so the sand is always moist. But the sunsets are worth it! Port Soif is where to head if you feel like a challenge. The sheltered bay is reached via steep steps within the grassed sand dunes, but the horseshoe shaped bay is a dreamy spot for snorkelling. Fresh clean air, healthy living and great food, what more could you want from a break? Guernsey cows are famous around the world, so any visit should include at least one cream team, ice cream, cheese tasting and breakfast toast butter fest! If you are already familiar with the delights, visit the farm where you can meet the cows, and buy up your stock from the local shop (which is incidentally cheaper than Waitrose at home). 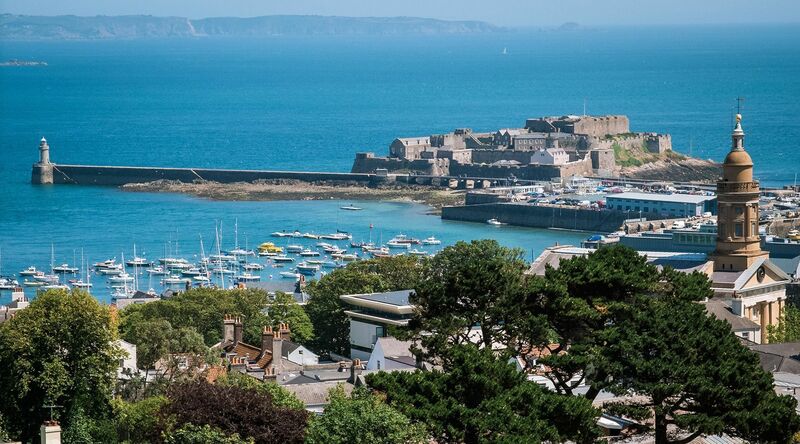 You won’t be able to avoid historical references on the island, and Guernsey’s ancient royal fortress, Castle Cornet stands guard over the capital St Peter Port harbour. Featuring five museums telling the story of various aspects of the island and the castle’s maritime and military history dating back 800 years, it is a must for any fact fans. During World War II the Channel Islands were the only part of the British Isles to be invaded and occupied by German Forces. This has left a visible scar on the island. and observation towers, Nazi bunkers and underground tunnels are still unmissable. War buffs will appreciate the conserved La Vallette Underground Military museum, which is full of military regalia and artefacts, which war enthusiasts will love. 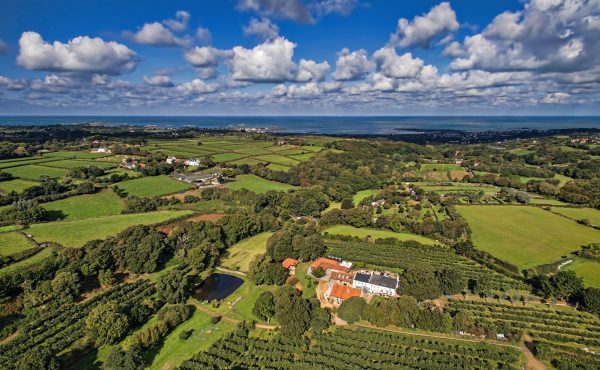 However, in recent years, Guernsey has become a magnet for well to do inhabitants, with the most pricey house selling for more than 2 million pounds! Whizzing through the rural lanes in the safari truck gives you a great vantage point to peer over tall hedges and see how the other half live! 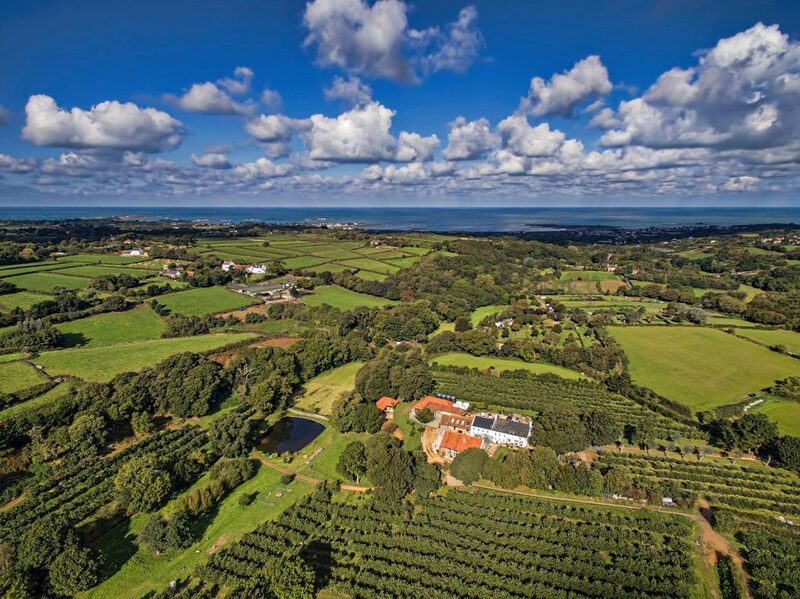 At only two miles long with an area covering approximately 24 square miles, you could do this by bike, but booking an excursion with Tour Guernsey or Go Guernsey Tours gives you a much better vantage point. Solid period houses (some built as early as 17th century) are set in stunning grounds, even if the owners only use them as a holiday home! The unusual jeep trip will take you off the beaten track, which will more than likely end up at the Rocquette Cider Farm in the Fauxquets Valley, where you can visit the orchard and see the cider being made. Followed by a well deserved tasting session, with the affable Craig, your Scottish host, you can sample the cider, spirits, apple juice along with cheese, chutneys and liqueurs in the beautifully maintained grounds. An unmissable experience, but advisable to do in afternoon or evening, or you’ll be tipsy for the whole day! But it’s not just cider which is popular with the inhabitants (although they do swear by it on a picnic), there are several gin distilleries who have created their version of the clear stuff. 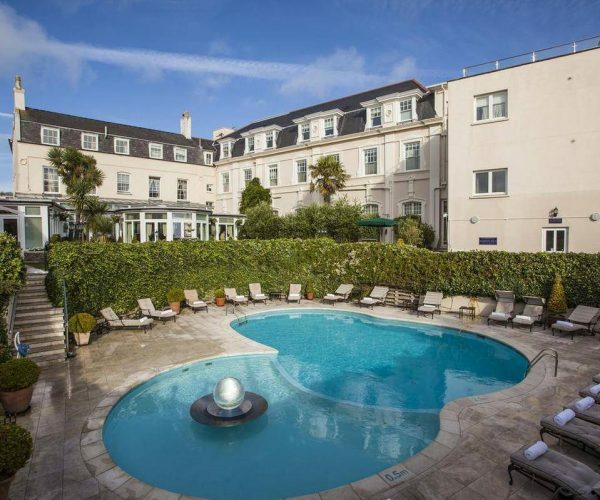 Blue Bottle, Wheadon’s and Unit Six Gin are produced in Guernsey, and Guernsey only five star hotel, The Old Government House, has over 150 types on offer. You can even pick up the Gin Passport, which gets stamped every time you try a new one.. And if that’s not an excuse to come back, I don’t know what is! Foodies will love Guernsey and seafood takes centre stage. 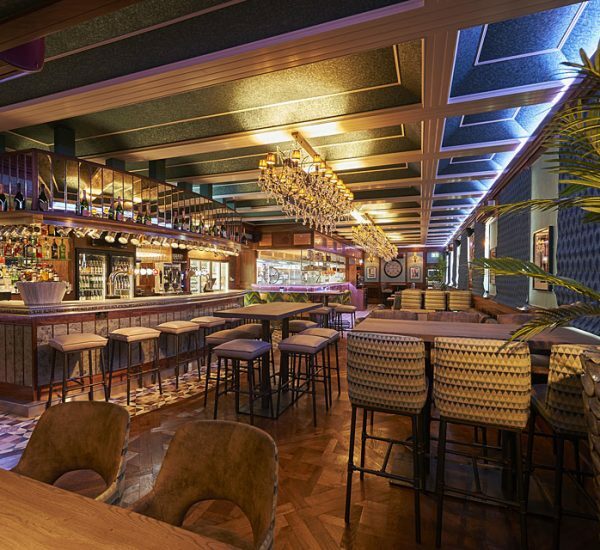 There are plenty of dining options to fulfil even the fussiest eater- scallops with bacon or locally caught monkfish, crab or sea bass are the specialties, but the culinary scene is cosmopolitan and you can track down pretty much anything. Summer nights are spent eating outside Mediterranean style, whilst watching the sunset, but in winter you will be welcomed into cosy, candle lit restaurants with roaring fires and heart warming food options. 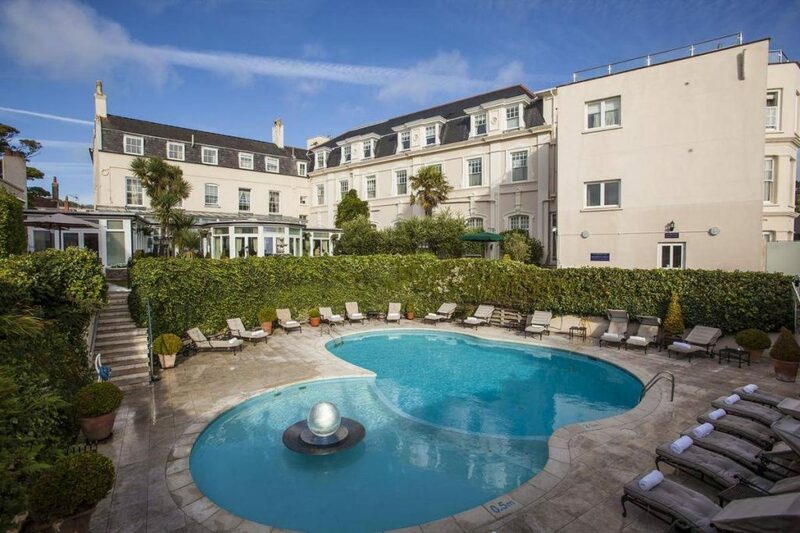 Guernsey has around 50 hotels ranging from cosy boutiques to 5 star hotels; The Old Government House Hotel is the most well known, and has several restaurants on site including The Curry Room, The Brasserie and Harry’s Bar which offer more informal dining. It also has an outdoor pool, sauna and steam room if you can’t bear to go to the beach! 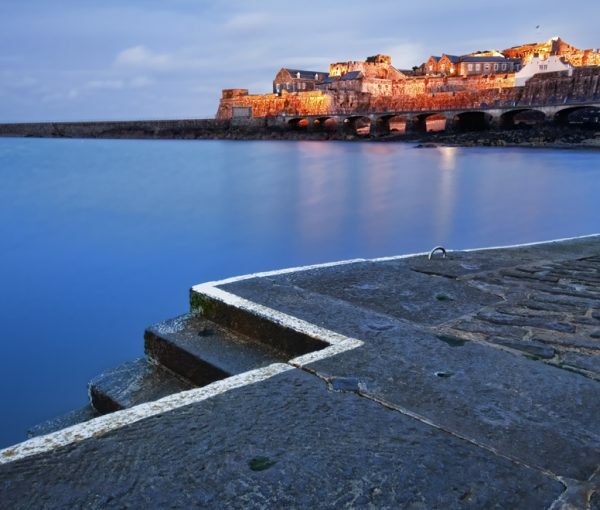 Most of the nightlife happens in the pretty, cobbled street, capital, St Peter Port. Boasting a bustling marina, there are plenty of pubs, shops, cafes and restaurants to keep you entertained if the weather takes an unexpected turn. With gift shops, high street stores and galleries, everything is here, you can treat yourself with an ice cream on the harbour, enjoying the views of the smaller neighbouring islands of Herm, Jethou and Sark. 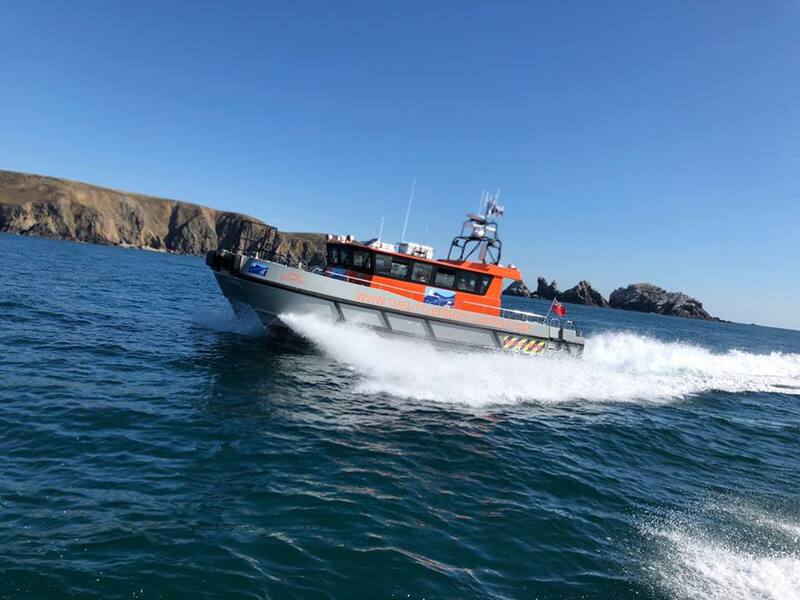 It is also the place to pick up the speedboat to the third largest of the Channel Islands, Alderney, which boasts over 300 species of bird. Launched this summer, The Little Ferry Company is the nippiest way to get across (if you don’t want to fly). The twelve- person hydraulic speedboat whizzes passengers across the choppy waters in just over an hour and it’s like you are stepping back in time. With hardly any cars (or people on a Saturday afternoon), Alderney is the ideal place to come for peace, tranquility. There are 28 miles of coast packed with golden beaches, cliff top paths, scenic walking trails and lots of nature; Incidentally, for such a small landmass, it has the highest number of pubs per head for residents! It’s no wonder everyone seems to know each other, and visitors keep coming back. Whether you are looking for some R&R, a romantic break or a weekend with the girls, the Channel Isles should be on your radar. From paddle-boarding to kayaking to windsurfing to foodie foraging, or just enjoying the local gin, butter and ice cream, you will not forget your trip. 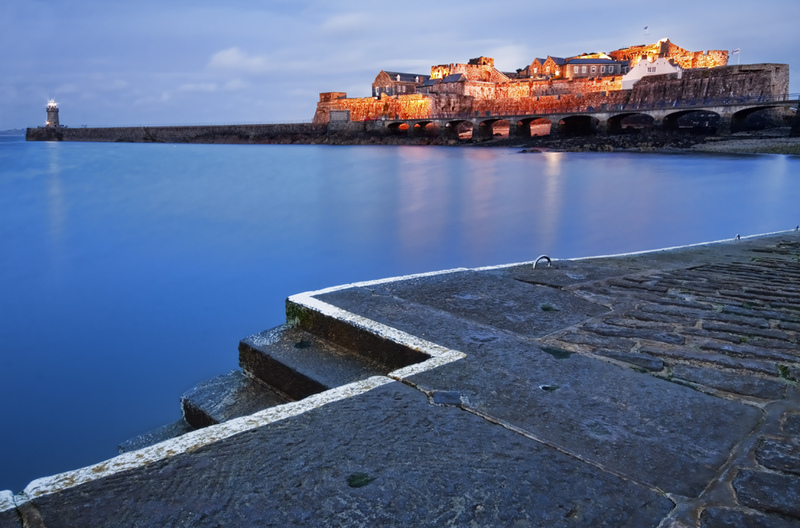 For up to date information on Guernsey, check out Visit Guernsey.